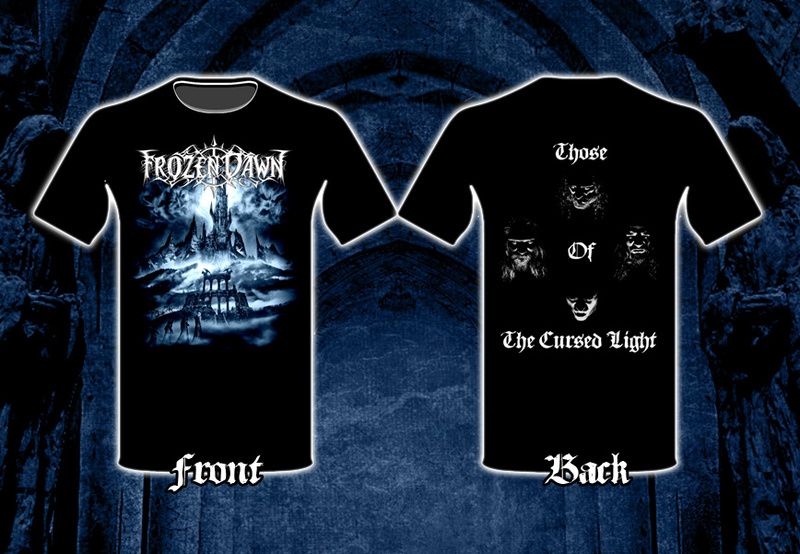 FROZEN DAWN - THE TEMPLE OF THE WINTERMOON - OFFICIAL WEBSITE - MADRID BLACK METAL: New Frozen Dawn T-shirt available!! New Frozen Dawn T-shirt available!! New merch has arrived to Winterland. Our new t-shirts. Both packages Include unlimited streaming of Those of the Cursed Light via the free Bandcamp app, plus high-quality download in MP3, FLAC and more. S, M, L, XL, 2XL, S-girlie, M-girlie. Note: Shipping not included in prices.